We’d love your help. Let us know what’s wrong with this preview of Tolkien by Catherine McIlwaine. Tolkien: M The range of J. R. R. Tolkien’s talents is remarkable. Not only was he an accomplished linguist and philologist, as well as a scholar of Anglo-Saxon and medieval literature and Norse folklore, but also a skillful illustrator and storyteller. Drawing on these talents, he created a universe which is for many readers as real as the physical world they inhabit daily. To ask other readers questions about Tolkien, please sign up. OMG. Well, I started off thinking I should do my best to maintain a critical distance and point out certain structural weaknesses and so on and so forth, but, really, what's the point? Tolkien brings out the fanboy or fangirl in a startling number of readers, and I am not ashamed to count myself a member of the same group as, just to name a few of the more prominent examples listed here, Terry Pratchett, Joni Mitchell, Iris Murdoch, W.H. Auden and Queen Margrethe II of Denmark. The last of whom wrote to the Master and humbly begged him for the inestimable favour of being allowed to illustrate an edition of his works; her artwork was good enough that permission was duly granted. If, like me, you are a moderately enthusiastic amateur Tolkienist who's read The Lord of the Rings perhaps five or six times and knows a little Sindarin and less Quenya, there is no end to the number of discoveries you will make in this beautifully produced picture book. The original maps of Middle-Earth, creased and falling apart after being literally read to pieces while the book was composed, are the least of it: I knew in advance that they'd be there. But I hadn't anticipated learning that the crucial scene with Bilbo and Gollum was substantially changed between the first and second published editions of The Hobbit in order to make it consistent with the sequel, or that Fangorn, in the original draft, was an evil creature in the service of Sauron. I couldn't have guessed that the line "Seven stars and seven stones and one white tree" had occurred to Tolkien before he imagined the Palantíri. It had certainly never crossed my mind that the name "Eärendil", together with its identification with the planet Venus, might be a borrowing from an obscure Old English poem. And above all, the Elvish languages, which are the true, mystical heart of Tolkien's legendarium. Everywhere you look, there are words, lines, quite often whole paragraphs, in Tolkien's gorgeous Tengwar script. (You'll even find one page with a passage in Sarati, Tengwar's archaic ancestor; I'd never heard of it). Tolkien started inventing the Elvish tongues when he was still a teenager, and he never stopped working on them: their grammar, their vocabulary, their literature, their historical development. He was not just fluent in several languages he had made up himself. He seems to have been an accomplished writer in these languages. It simply defies belief. Where did all this magical inspiration come from? 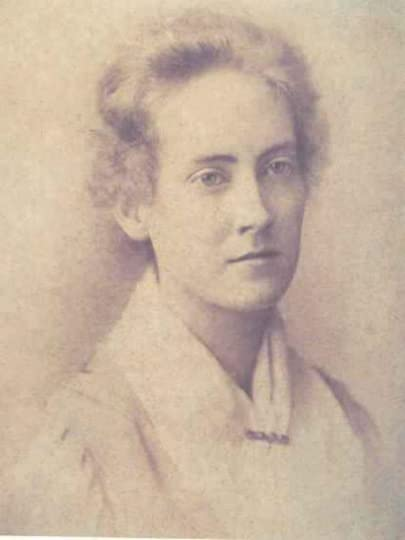 I wish we knew more about Tolkien's mother, Mabel, who schooled him at home when he was small and taught him languages and philology, calligraphy and drawing. She was a beautiful woman who died suddenly when he was only ten. In her photograph, she looks like an Elven princess. And her unusual handwriting is strangely reminiscent of Fëanorian letters. Read this book! It will make you want to appreciate trees more, and write poetry, and learn Icelandic, and simply become a better human being. And if, for reasons I can't quite comprehend but nonetheless respect, you are one of those strange people who don't much like Tolkien, you certainly must have a parent or child or lover or friend who does. In which case, if I may point out the obvious: birthday present solved. If you thought "make you want to learn Icelandic" was poetic exaggeration, I present solid evidence here. Trust me, this is a magical book. Add Rowan Williams, former Archbishop of Canterbury to that list of fanboys. BTW, note that he also has some remarks about Mabel Tolkien's unusual handwriting. I have read Tolkien's fiction several times and dived into the genesis of his works with the "History of Middle-Earth" books, but I have never actually engaged with JRR Tolkien, the person. This was perfect for filling that gap, allowing me to discover both the man and the artist along a catalogue of wonderful items, superbly annotated by Catherine McIlwaine. It's a shame I could not visit the exhibition in Oxford, but this is the next best thing. A marvelous overview of the man and the many facets of his work. Catalogue and guide to a magnificent exhibition. Fascinating—Tolkien himself, more so (for me) even than his work. A beautiful collection of drawings, drafts, maps, and family photos, this book is well worth the hefty price tag. The chapters are divided into different elements of Tolkien's life and writings, such as his experiences fighting in WWI, his language development, and various versions of illustrations for his books. If the forthcoming Morgan Library exhibit is half as good, it will be amazing! A gorgeous book, worth every penny. I have to say I really enjoyed this book. I learned so much about Tolkien the person and a lot about how middle earth all came about...totally fascinating! The letters and photos were amazing and the art work was beautiful. I enjoyed this book so much I am now going to the-read Lord of the Rings this fall. I gave this book 4 out of 5 stars! Worth a read for the photographs, featuring elements from the Bodleian Library exhibit. Original artwork by Tolkien, family photographs, fan letters, and more are included. A simply wonderful book, masterfully arranged and created -- a sincere delight for the eyes of any Tolkien fan! I bought this book after visiting the major exhibition at the Bodleian Libraries in Oxford and in my opinion it is a milestone publication. Having a book is not the same as seeing the original material, but it is completely worth it. In this large collection of Tolkien material (images of his drawings, manuscripts, maps, pictures and letters) with six essays a comprehensive portrait of Tolkien is produced: the scholar, the professor, the storyteller, the illustrator, the man. It is a volume that c I bought this book after visiting the major exhibition at the Bodleian Libraries in Oxford and in my opinion it is a milestone publication. Having a book is not the same as seeing the original material, but it is completely worth it. 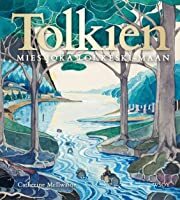 It is a volume that can be read by both fans and by people who never read Tolkien's works, because it is a journey to get to know the person and his stories. The former will know some background facts such as Frodo found out that Fangorn, in the original draft, was an evil creature in the service of Sauron or that the most important scene with Bilbo and Gollum was changed between the first and the second publication of "The Hobbit" in order to have the right coherence and cohesion with "The Lord of the Rings"; the latter will know something about him, for example the fact he started inventing Elvish tongues (grammar, history of the languages and developement, literature, vocabulary) when he was young, that he made language trees, and that he always started from a worldbuiling and the story always came later and the hardest part was connecting both parts. Or that he loved using watercolors and painted the first covers of his books and the Elvish heraldry symbols (such a great use of colors!). Everybody will know that the Professor always had lots of fans in the world, from a young Terry Pratchett who was astonished while reading "Smith of Wootton Major" (he thought that it would be similar to "Farmer Giles of Ham" but he was pleasantly surprised), to Joni Mitchell who invented the same word that Tolkien invented and used in his Legendarium ("wilderness") and to Queen Margrethe II of Denmark who wrote to the Professor and begged him of being allowed to illustrate an edition of his works (and some of her illustration can be found in the artwork of the Danish band called "The Tolkien Ensemble"). He was a fan of crosswords as well and he loved finding patterns in them using different colors. This book is the catalog of the homonymous exhibition prepared by the Oxford library to celebrate Tolkien's legacy. It is a very beautifully edited work that allows those of us who, because of distance, could not be present in the exhibition, to go through the material that was prepared very dedicatedly for such a great event. It also serves as a beautiful souvenir for those who could go through the exhibition and as a reference material to have on hand in a couple of conversations between fans o This book is the catalog of the homonymous exhibition prepared by the Oxford library to celebrate Tolkien's legacy. It is a very beautifully edited work that allows those of us who, because of distance, could not be present in the exhibition, to go through the material that was prepared very dedicatedly for such a great event. It also serves as a beautiful souvenir for those who could go through the exhibition and as a reference material to have on hand in a couple of conversations between fans of the teacher's work. The book is a mix of family photos, photos of personal objects, drawings made by the same hand that Middle Earth imagined and is accompanied by a set of essays written by some of the most respected Tolkien scholars in the world: Catherine McllWaine-Curator of the exhibition-, John Garth -author of Tolkien and the Great War-, Carl F. Hostetter -a key figure of the Elvish Linguistic Fellowship-, Tom Shippey -I do not believe that among connoisseurs he needs more presentation than his name, but; author of books like JRR Tolkien: Author of the Century and The Road to Middle-earth- and Hammond and Scull -known by The Art of The Hobbiy and The J.R. R. Tolkien Companion and Guide-. I have really enjoyed each of the pages of the book, I have discovered things of my favorite author that until now I did not know and I have remembered others that for reasons I do not know I had forgotten. The standard edition, with rigid cover is already a beautiful collection piece with low relief letters and gold on the cover and spine, color pages and a very good quality paper that make the edition worth every penny of dollar. An awesome catalog of the contents of the Oxford exhibition of the same name, in full color, plus bonus content. While it’s not quite the same as seeing the originals, it’s like a highlight reel for the “History of Middle-earth” series. This book is part biography, art gallery and creative writing archive all rolled into one. It opens with some fascinating essays on Tolkien's life and writings and then follows the development of his various literary works. Each chapter is full of gorgeous watercolor paintings or hand-drawn maps. I do wish I could have seen all of the artifacts in the Bodleian Library this summer, but this book was the next best thing! An excellent illustrated journey through JRRT's life and creative process. Tons of letters, illustrations, maps, etc. I had no idea he was such a prolific visual artist. If I have one nit is the relative lack of content from the Silmarillion (no maps in the map chapter, for instance), but I suppose the author had to make a cut somewhere. Highly recommended for any Tolkien fan. A really great book on Tolkien and Middle Earth. It starts off with several fascinating essays on his influences. After that, it shares wonderful artifacts. This is a wonderful book for any fan of Tolkien. This is a lovely exhibition catalog from the Bodliean library. Some really good reproductions of Tolkien's art. Fantastic resource and an engaging read. Highly recommended. Delightful companion book to a delightful exhibit! This book significantly enhanced my admiration and appreciation for Tolkien in so many respects. An absolute treasure! The exhibit this book covers made me cry, dear reader. A fitting memento if you went, or facsimile if you didn't. It makes me a very happy nerd to have it on my bookshelf. A stunning book in art alone, the section articles by leading Tolkien experts add good perspective and insight for the most part. Some of their commentary is too literary scholarly pontification. The copies of letters, rough drafts and simple drawings add much to the history and development of the vision that is Middle Earth. 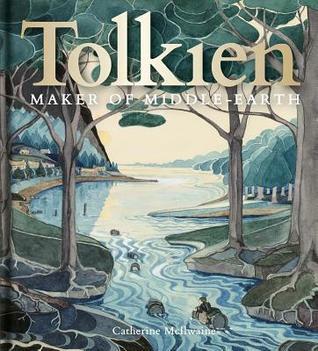 This is a wonderful addition to any selection of Tolkien art books, comprehensive and well written. This was an excellent exhibition in Oxford. And this is an excellent exhibition book. A must have for any interested in J. R. Tolkien.